This book was so much more than I was expecting! I suggest you have tissues near you! Nick's mother is being put in a home for Alzheimer patients. He doesn't believe that she was correctly diagnosed, and is determined to bring his mother home. They enjoyed playing a video game together, and the latest version of the game has been released and plays a role in the story of Nick's escape. The author has given us an incredible view of early onset Alzheimer's and how it effects family members. 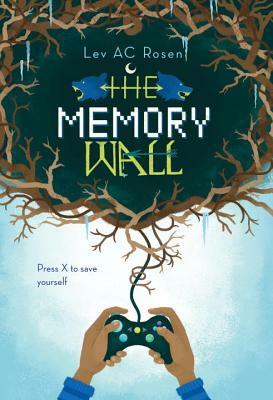 An engrossing middle-grade novel set in a high-fantasy video game world that’s part Kathryn Erskine’s Mockingbird, part Patrick Ness’s A Monster Calls. Wellhall is an immersive online fantasy world full of giants, sorcerers, and elves—and it’s junior-high-schooler Nick’s only escape from real life. Nick and his mom used to play the online video game together before her early-onset Alzheimer’s forced her to enter an assisted-living facility. At first, Nick seeks distraction in the game, but he soon becomes convinced that his mom is playing the game as a character named Reunne, and dropping him hints about her diagnosis and how he can help her return home. Even as Nick becomes more and more certain that Reunne is actually his mother, Nick’s father and his new friend encourage Nick to confront the possibility that the game is just a game, and that he needs to be prepared to say goodbye to his mother as he knows her. . . .